Newbie blogger are the freshers in the field of blogging and they learned a lot from other blogs. In the web there are numerous of tools are available which gonna help them to establish their business online. I know if you are a newbie blogger and want a tool for your blog but don't afford it, and also not invest money because it will need a daring power to invest online. I am not gonna invest huge money on internet. But don't worry today I am publish an post via you can see some best free online tools for newbie blogger. Lets have a look! It is used to track the high targeted keywords of your blog. It is an superb tool to track the ranking of your keyword. It is used to check Page Authority, Domain Authority, Linking Root Domains, Total Links etc. You are commenting on many blogs just for the sake of getting backlink, and do many guest post to get page rank. This tool will help you to check your blog backlink. 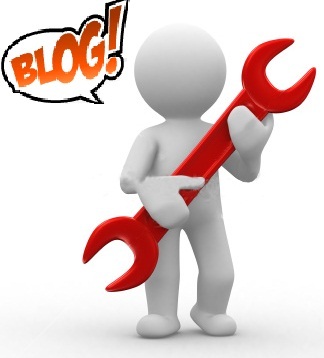 This tool is the most popular tool among various blogger. It will help you to choose the targeted keyword to start your own niche. It will provide some potentials keywords. This tool will help your blog or website to appear in the Google Search Pages. By using this tool your blog will be noticed by Google quickly. There are many tricks are available out there that anyone can fake page rank for their blog. So this tool will help you to track them and find quality blogs/domains only. There are so many domains which Google declare as a back list. They doesn't get any traffic, also not appear in the Google search pages. So you will check the domain with this tool before buying any domain/blog. It is an simply an informative tool. All you need to put your main keyword and it will give you options to find specific platform for you keyword. This tool is one of my favorite tool. This tool helps you to check the copy content. This tool help you to check whether the article is copied or not, it shows the number of percentage that copied from other blog. There are so many AdSense account which Google will cancelled daily. So if Google will stop showing ads on your blog. Means your blog will not appear any ads than you can use this tool to check that ads were still appear on your blog or not.